Sick of all the eclipse fuss? Join this bee! 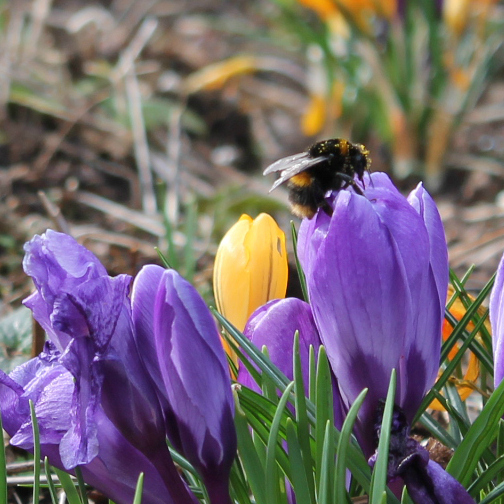 Whilst we were all squealing in the Gardens, he turned his back on the sun and got stuck into these crocuses. If you look closely, you can see how covered in pollen he is. Mr Bee! At 10 in the morning! We show plenty of the sights of the Gardens, but it’s hard to show the other senses of The Hidden Gardens. One of our Taskforce volunteers took this short video about the everyday life of a bee in The Hidden Gardens. It’s lovely to hear them buzz!